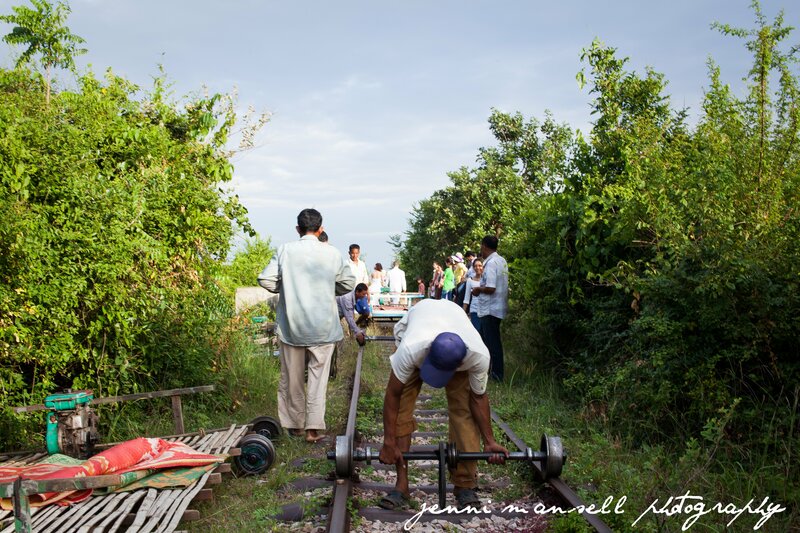 While I was visiting Battambang and the Green Mango Cafe & Bakery, I had the chance to go on the infamous “bamboo train” outside the city. Alan and many of the Green Mango girls went along with me (Katy decided to sit that one out with her baby in utero in mind). 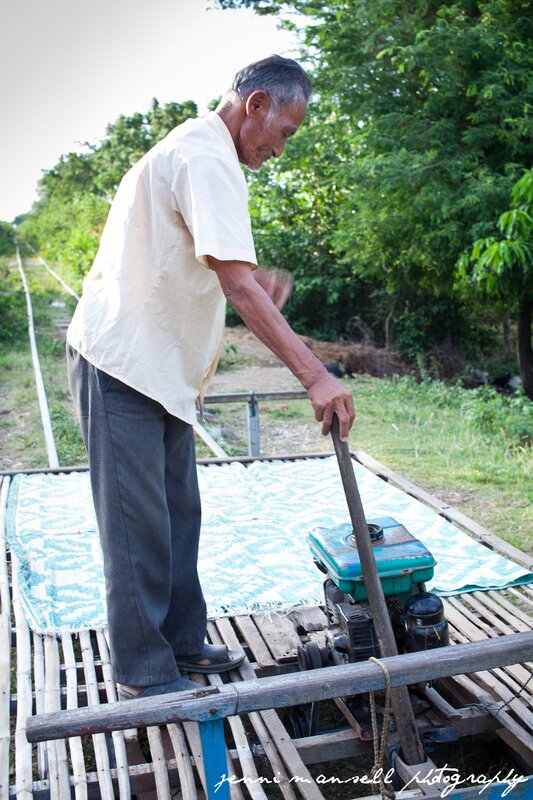 The bamboo train uses old railroad tracks that were used for trains during the time of the Khmer Rouge on tracks left by the French. According to my Lonely Planet book, the rail line may be upgraded in the future and the bamboo train may lose it’s usefulness. 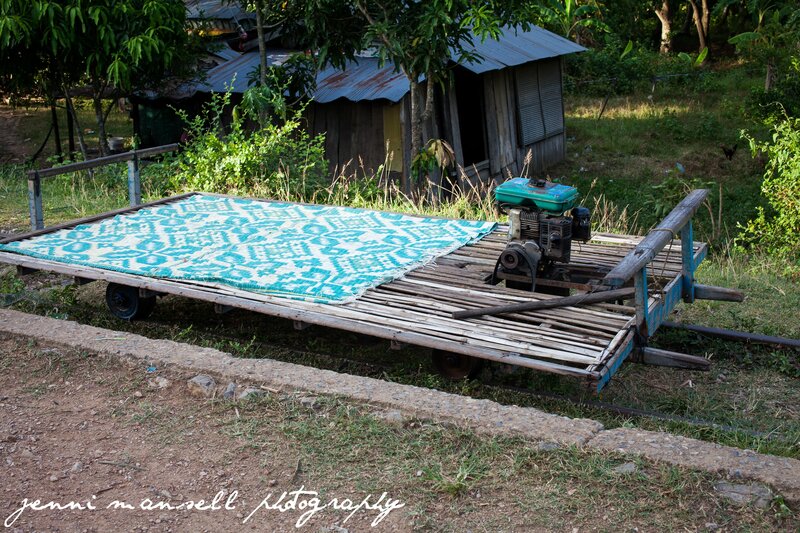 However, for the time being, many 3 meter long wooden frames covered with bamboo and resting on two barbell-like bogies make the trip up and down the rickety tracks daily. 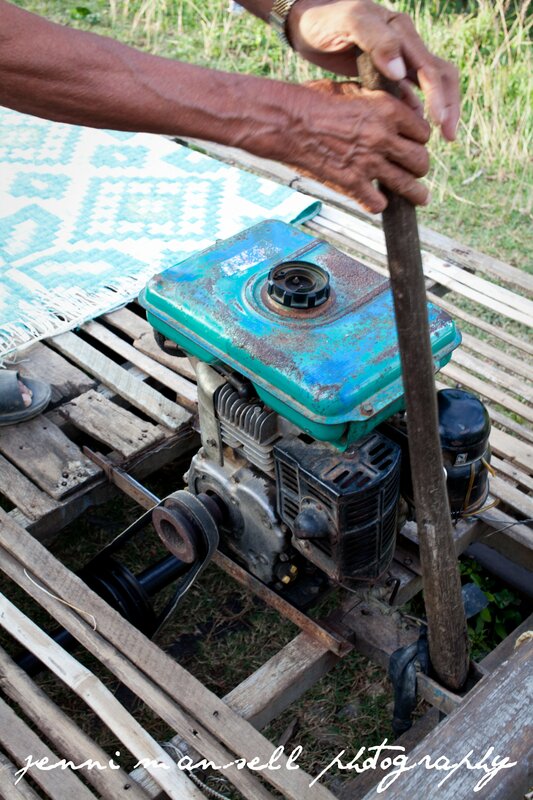 One bogie is connected by fan belts to a gasoline engine. You can fit about 10 people on the bamboo frame and take a 15 km/h ride down the tracks (though I’m sure they’ve managed to fit many more). The best part is that it’s so easy to take apart, so when you run into a group coming the other way, one group can just get up and take the car off the tracks to allow the others to pass. You can thank Lonely Planet for that detailed explanation of the train. 🙂 It felt like a very rustic amusement park ride to me. 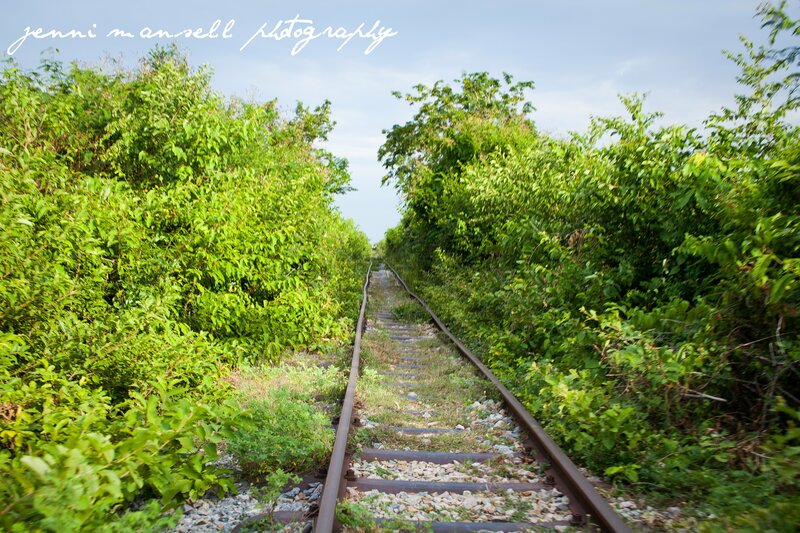 We had quite an adventure on our ride down and back up the tracks. 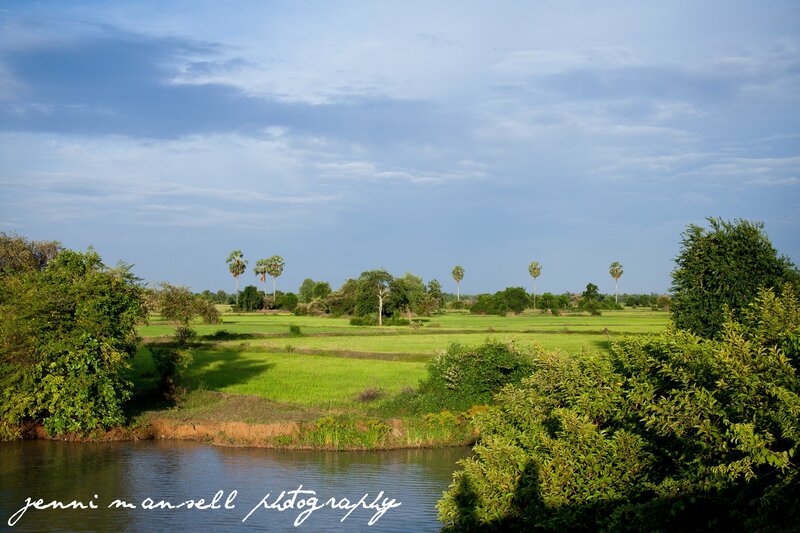 I enjoyed the gorgeous Cambodian countryside until we saw a group stopping up ahead. 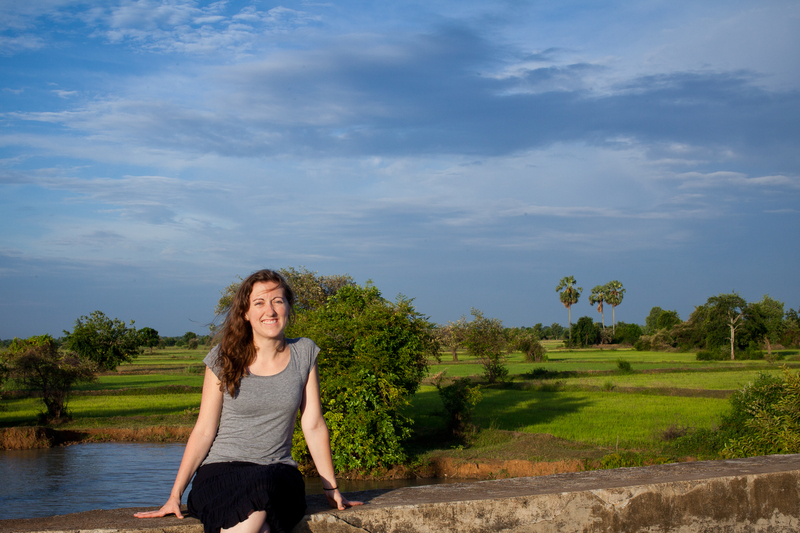 We slowed down to find a few “cars” disembarking on a bridge. 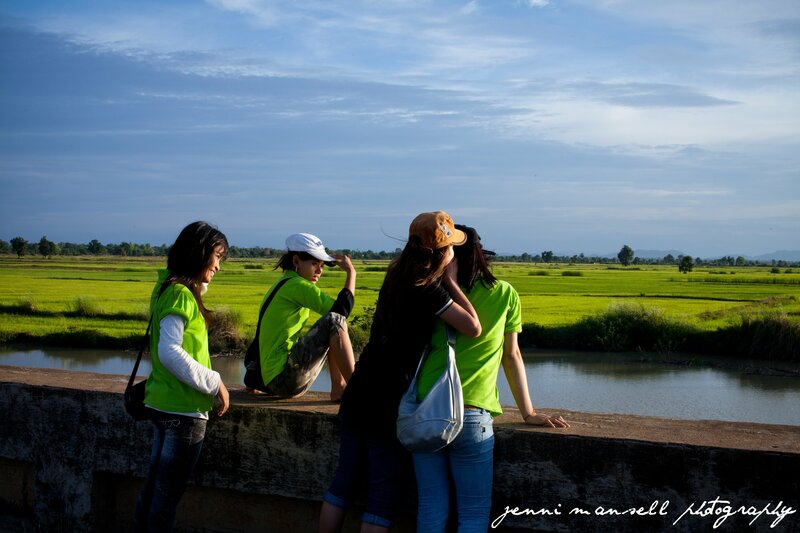 It turns out it was a wedding party that stopped on the bridge for a photo shoot among the rice fields. 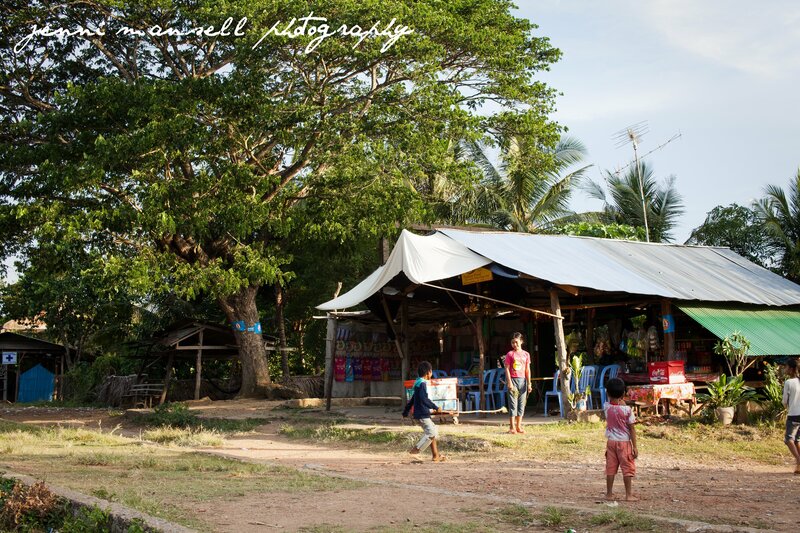 It seemed they were a bit surprised to see a group of Cambodian girls in green shirts and two Americans on a car come barreling through, but they were quick to step out of our way to allow us to continue our journey. 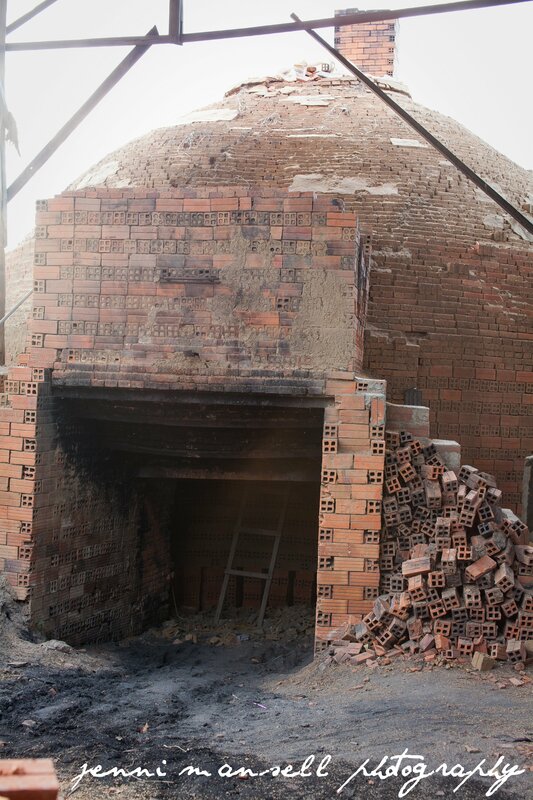 We broke up our trip with a stop at a roadside rest stop where we could buy treats and scarves and check out a brick-making kiln. 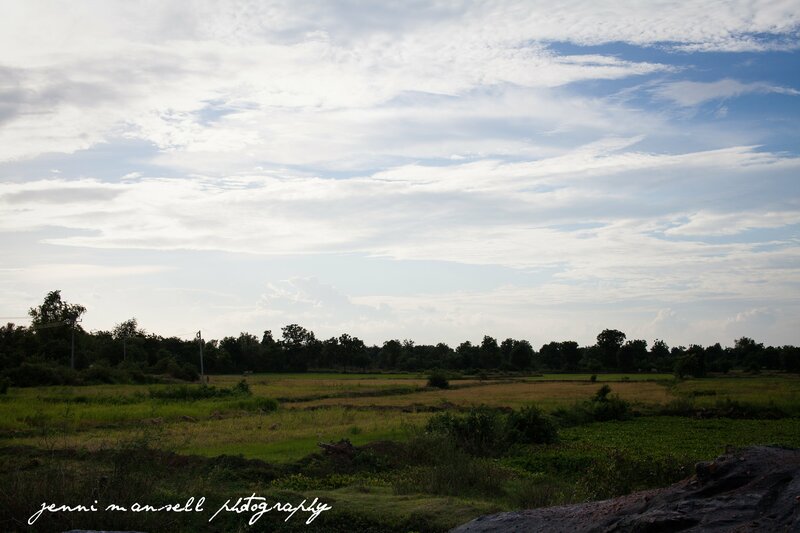 We then headed back to where we came from, with a stop on a bridge to get some photos of the breath-taking view of the green rice-field expanse. I haven’t figured out how to post the video I took of the ride, but I hope you enjoy the photos! 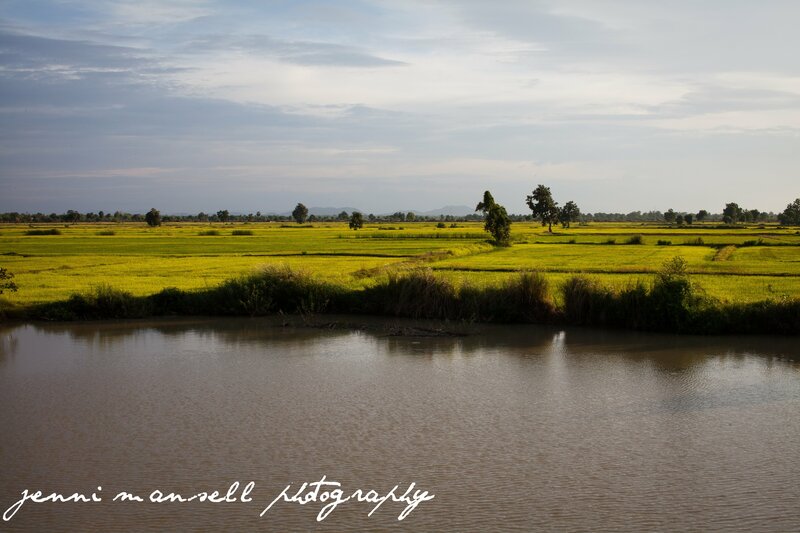 Click here to see the rest of my Cambodia posts in succession. Taking apart the cars so we could pass. Surprising the bride and groom. 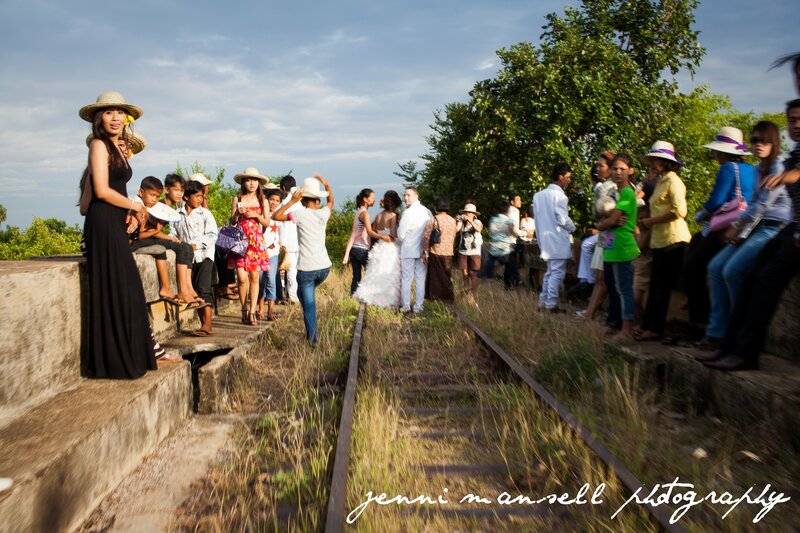 Somewhere in a Cambodian wedding album is a photo of our bamboo train full of Green Mango girls and two Americans waving as we passed the happy couple! Scarves for sale at the rest stop along the tracks. Our car along the side of the tracks. A man demonstrating how it worked. Close-up for my engineer friends. Images just don’t capture how beautiful this place is. 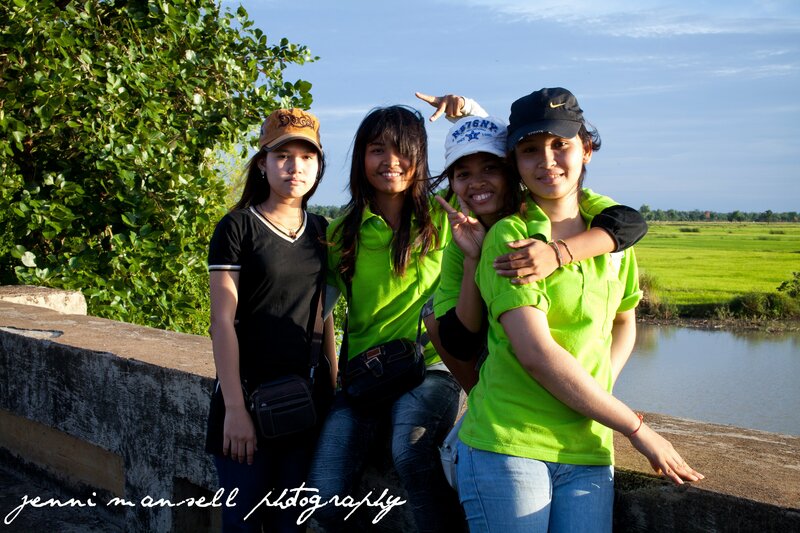 The girls who work at the Green Mango had a fun time accompanying us on the trip. Had to prove that I was there! 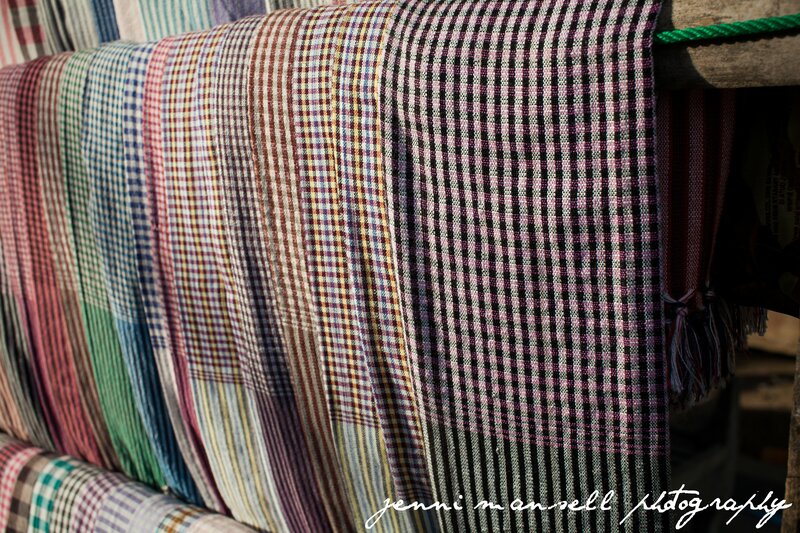 This entry was posted on February 11, 2013 by jennimansellphotography. 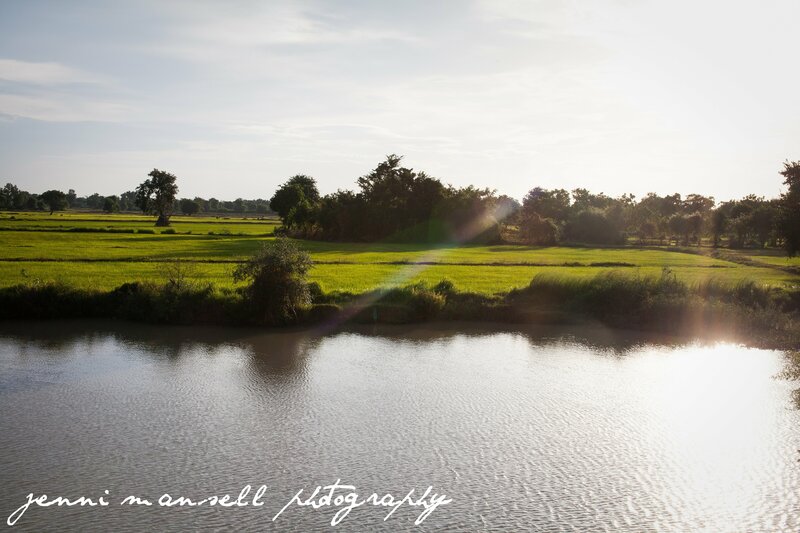 It was filed under Southeast Asia Adventure, Travel and was tagged with bamboo train, Battambang, battambang bamboo, Cambodia, Cambodia wedding, rice fields, train, transportation.